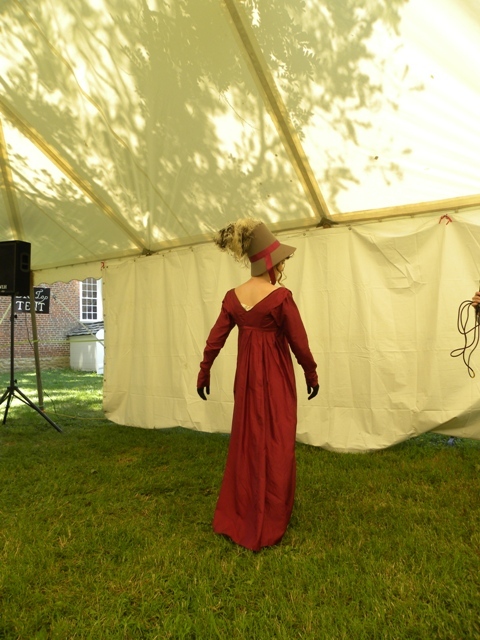 Another First-Timer’s Take on the Louisville Jane Austen Festival! 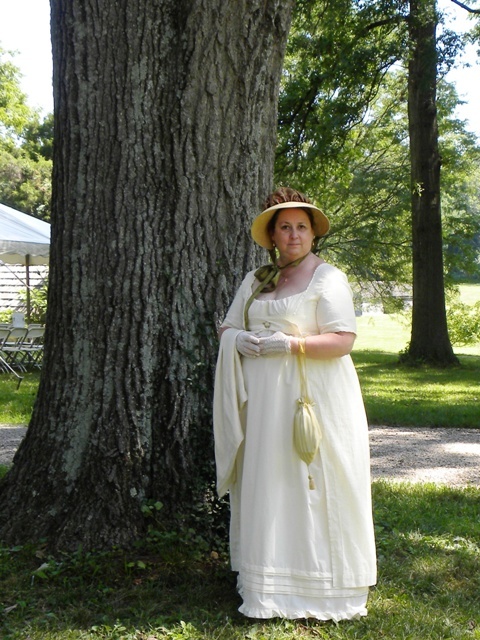 Dear Gentle Readers: I had the pleasure of meeting Tess Quinn last year at one of the Jane Austen Weekends at the Governor’s House in Hyde Park Vermont. 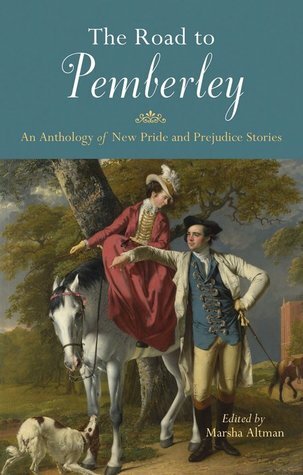 Tess then told me she had published her first short story in the compilation Road to Pemberley (Ulysses Press, 2011), which lay at home, unread, and obviously waiting for this sort of impetus! – Titled “A Good Vintage Whine”, I read it as soon as I got home and found it to be one of the more inventive of all of such stories that I have ever read… I still recall is very vividly, surely a tribute to its effect! 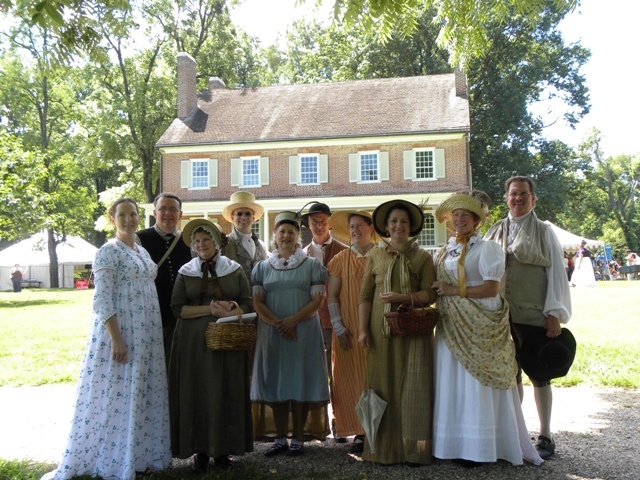 After hearing lovely things for the last few years about the Jane Austen Festival sponsored by the Louisville region of JASNA, I finally attended this event, the 5th Annual. Everything I had heard was not hype – this was a most delightful way to pass the weekend. The ladies and gentlemen of the Louisville chapter are commended for doing it right! 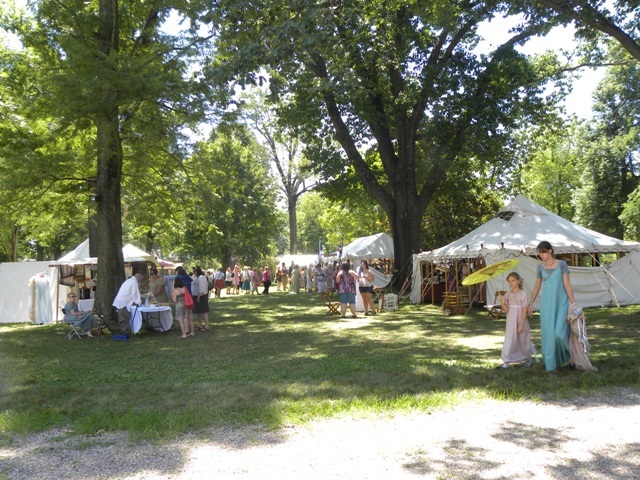 Everything organized well, high quality entertainments of every variety – and fashion everywhere you looked! I attended with three fellow New York friends and we began the morning on Saturday with a stroll through the various shops of the market. 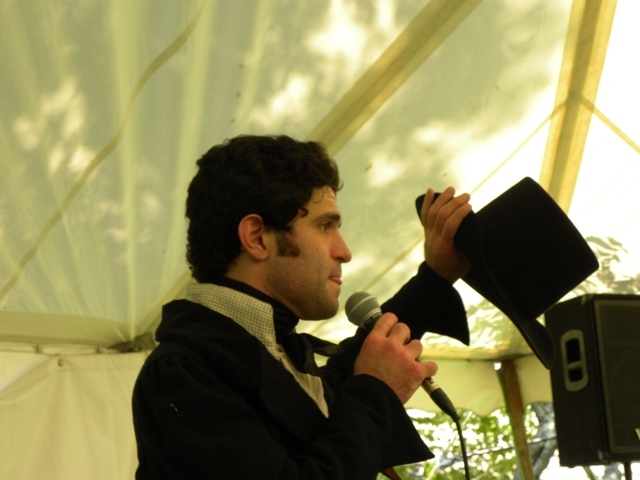 (I was sorry we did not arrive soon enough for the fencing demonstration, which sadly was not repeated again during the festival, though most events were.) 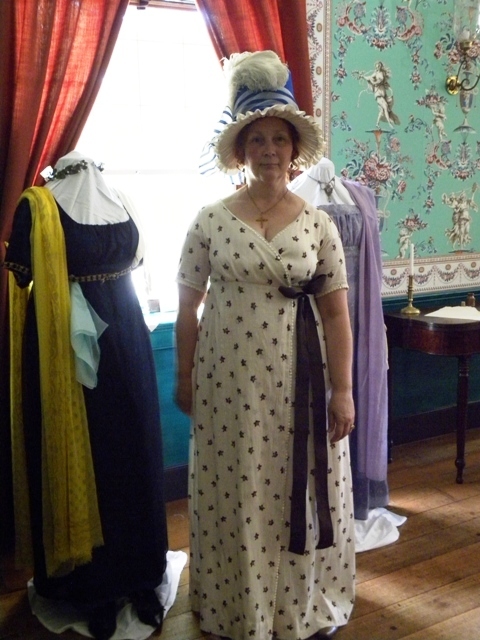 I was sorely tempted by many of the fashionable fabrics, bonnets, period games and trinkets – but managed to limit myself only to the purchase of some teas. 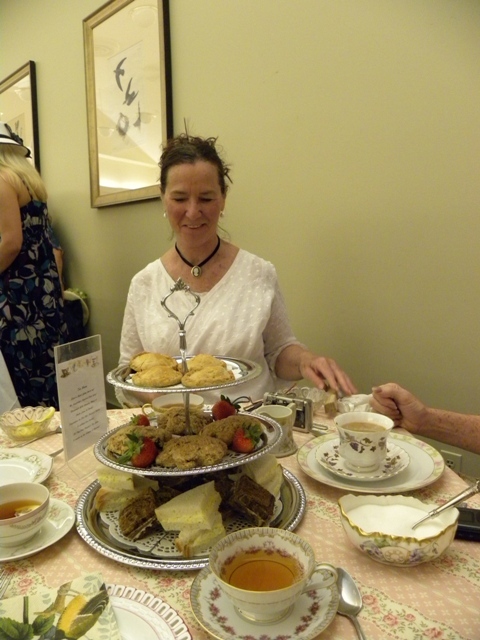 Shortly afterwards, I headed off to blend my own with Julia of Bingley Teas, one of the session events available. Made a wonderfully aromatic (and quite tasty as I have since discovered) blend with black tea, roses and calendula, cranberry and apricot…and a few other additions. I am now ready to hit the markets confidently to find my own ingredients and develop my own signature blend! Following this session, I rejoined my friends for our scheduled tea time. What a lovely tea it was! 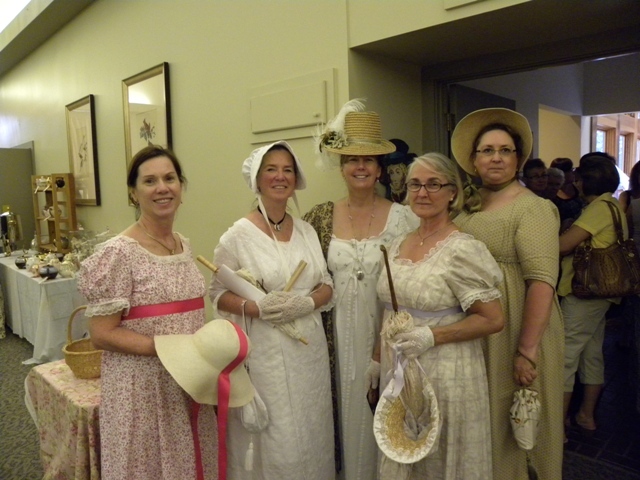 And how impressed was I to discover that all the china being put into service was the collection of one lady!—Bonnie Wise, the Regional Coordinator for Louisville and spearhead of this event. Truly amazing, and very gracious of her to trust us with her precious china. Our table tried several tea blends (all from the Bingley Tea line) but I must confess my favorite was “Marianne’s Passion” – it was delicious served hot, with a fruity under-taste; and even better when I later sampled it in iced tea form. Well sated with sandwiches, scones and desserts (I agree with Melody, the lavender cake was delicious) we headed off to watch Mr Darcy undress. What better entertainment for ladies on a lazy summer afternoon! And judging by the crowd under the tent-top, I wasn’t alone in that opinion. 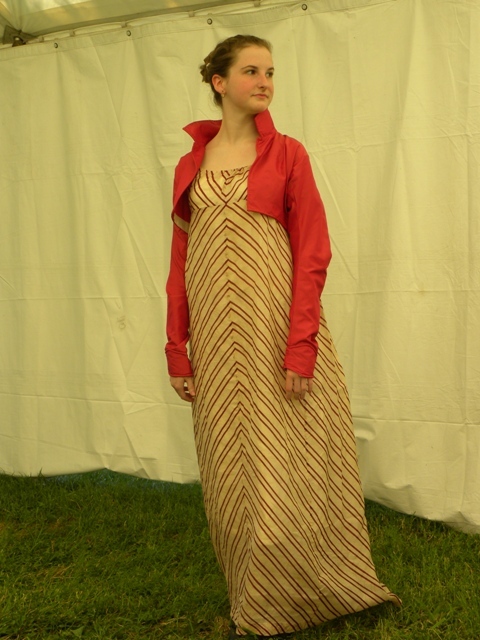 Along the way to it we admired (and photographed) scores of wonderful Regency attire; of course, stopping to chat with ladies and gents alike about the construction of them (being a novice at making my own, I was most interested.) 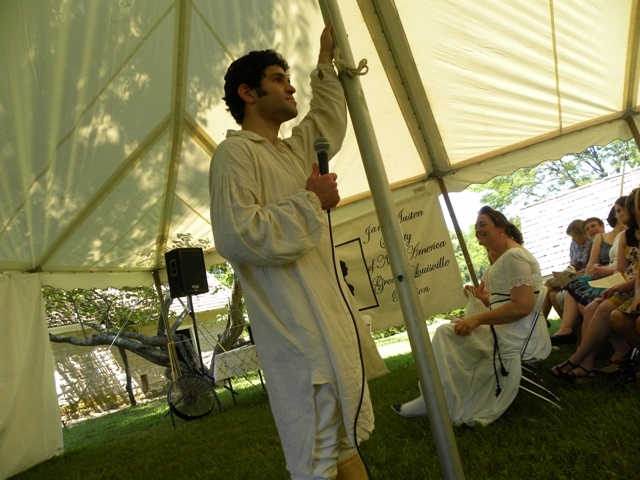 Brian Cushing (aka Mr Darcy) had an engaging presentation style as he peeled off his layers and his anecdotes were both humorous and instructive. 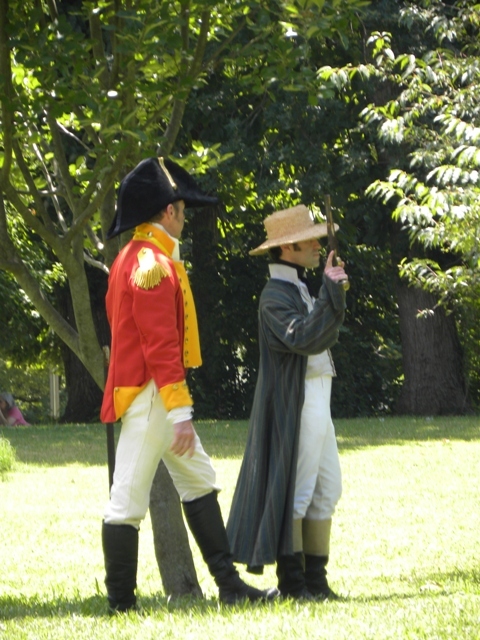 A long collective chuckle rippled through the audience as he began to pull his shirt-tail out from his breeches to show us a typical shirt of the period… and it kept coming and coming. In the end it reached past his knees… as he asserted that this was one of the shorter ones of the day! 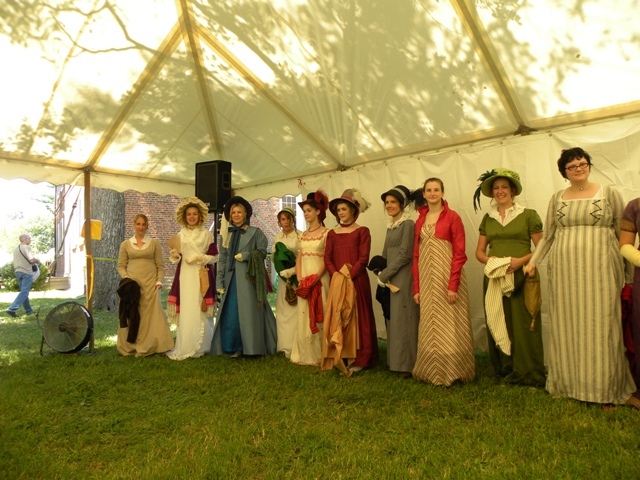 and then back to the presentation tent for a lecture on Sickness and Health as depicted in Austen’s novels. It was a fascinating look at various characters and their ailments and a perspective you don’t often encounter – that Mr Woodhouse, despite his annoying solicitousness of everyone’s health, was actually seldom wrong. The whole of it illustrated wondrously Jane Austen’s own extensive understanding of illness and treatments and human nature, of course. Dr. Cheryl Kinney assembled a wonderful slide show of characters, treatments, film clips and anecdotes to support her lecture. It was so well done, I determined not to miss the second lecture she would offer on Sunday. After this one, I approached Dr. Kinney to ask her opinion of the ailment of Anne DeBourgh, as it had not been raised in this presentation. And, as a P&P fanfic author who often considers it when writing, I was thrilled to learn that Dr. Kinney has an entire session on Anne DeBourgh’s ailments planned for the 2013 AGM in Minneapolis. Count me in! I will come armed with interest and questions! 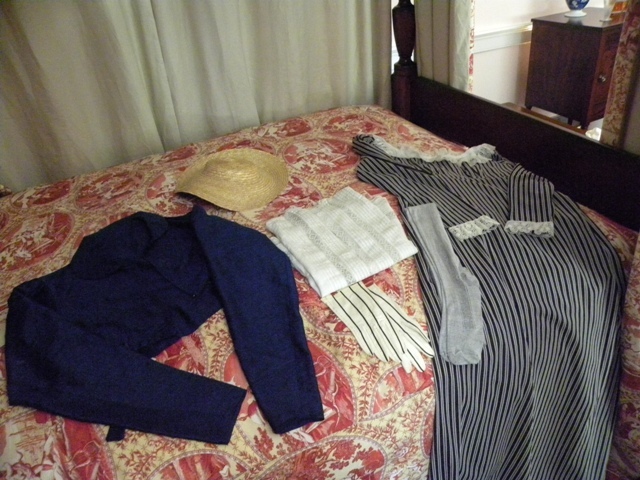 Shortly after this presentation, my group retired to our B&B (a most wonderful find) to rest before readying ourselves for the ball that evening. 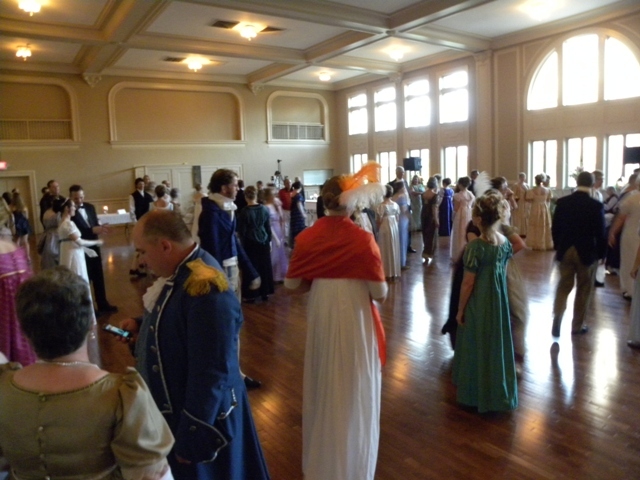 I was amazed when we arrived for the dance at the attendance and the fact that nearly the entire company was in period attire. 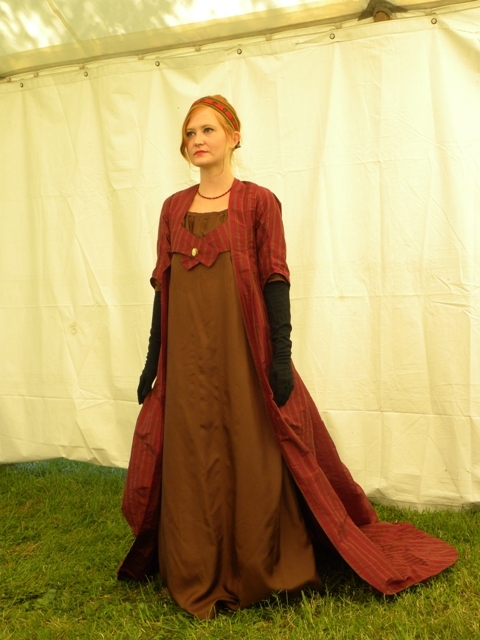 And what fashions there were to witness – each gown finer than the last! 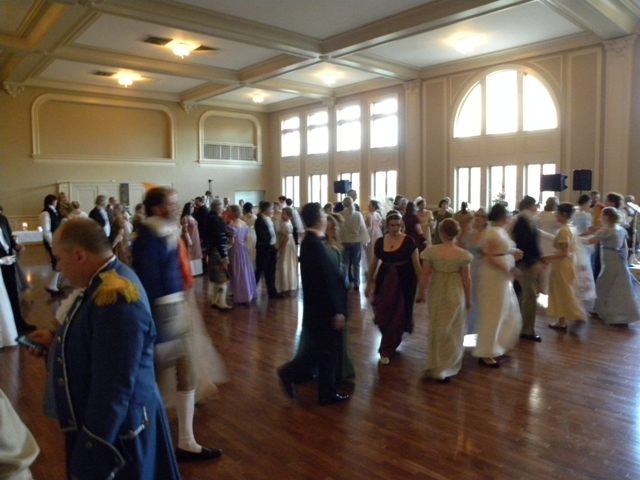 Although the acoustics in the hall were not perfect, we had a grand time, dancing almost every dance, and laughter abounded as we made sport (of ourselves and our neighbours, of course) at trying to learn the dance steps. Shame on us for not attending the afternoon practice session. The refreshments during the interval were extensive, and I was most amazed at the competence and administration once again of the Louisville organizers – replenishments were quick and smooth – truly well executed. We slept very well after our busy day, and got a bit of a late start on Sunday; but arrived in time for a Bare Knuckle boxing demonstration. I, of course, averted my eyes from bare-chested as well as bare knuckled combatants. 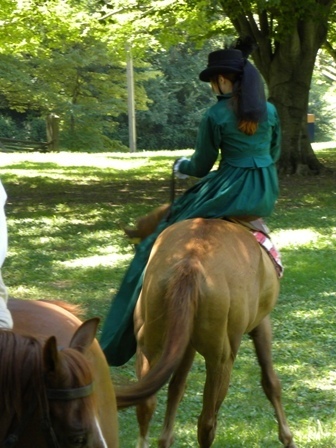 Following this, I enjoyed a demonstration of side-saddle riding from Ms Deborah Glidden and her assistants. The older gentleman (Bill Glidden) turned out to have spent a long career in Hollywood; he was Doug McClure’s riding double in The Virginian among other things. A few of us in the audience were of an age to recall that TV series very well. While my friends attended tea again, I instead toured the inside of the house that Melody has already described so nicely. 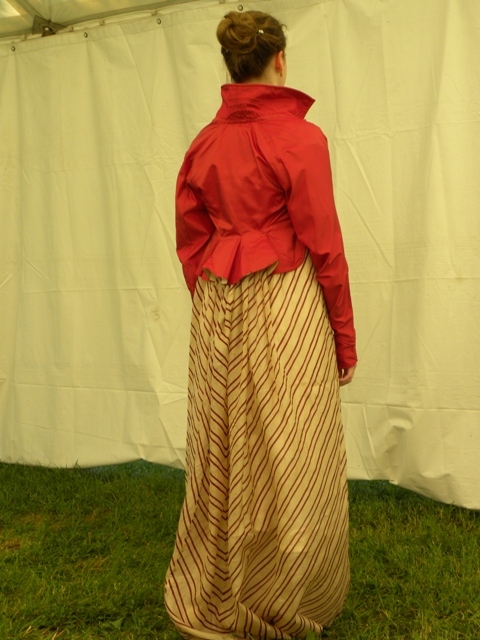 And in addition to the house and furnishings themselves, I truly enjoyed the fashions on display there – all part of Gayle Simmons’s collection and complete with accessories of every sort. Every room held a few ensembles, either on models or lovingly spread out on beds awaiting some young lady to prepare for a ball. Very impressive in all. 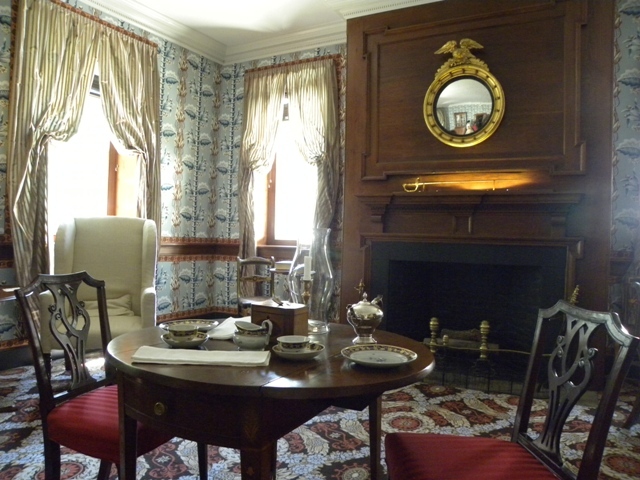 Each room was manned by a volunteer to provide visitors with a short history, and the master bedroom in particular had a pair of girls who explained that they were in their parents’ room looking for a ribbon their younger brother had impishly hid from them, a particular one the older girl wanted to wear for her coming out. They stayed ‘in character’ throughout and were a delight. 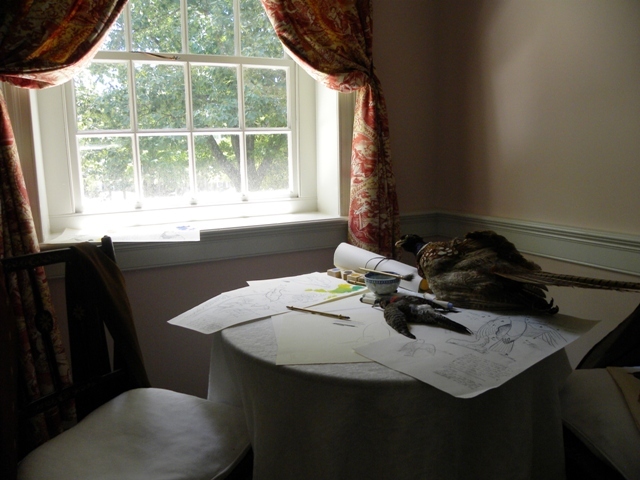 There was also a lovely lady demonstrating bobbin lace making in the house. Oh, the patience required – I don’t think I’ll tackle that, but I will certainly appreciate it more when I encounter the finished item. I witnessed a duel between two gentlemen. 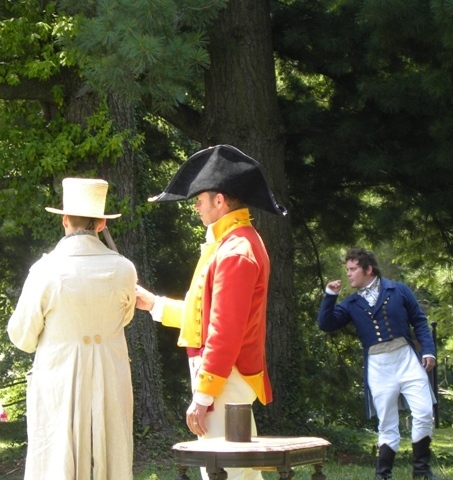 I learned that the purportedly injured party always shot first – in this case he wounded his opponent in the shoulder. But what a small victory it turned out to be when his opponent, shooting second, killed him in return! I finished the afternoon at another of the special sessions, joining a group of ladies young and old to paint a fan. After a short historical talk on fans and seeing examples of extant designs, we were off to design our own. I must admit to admiring many of those around me as they took shape (and young ladies too of about fifteen, so accomplished for their age); but my own drawing and water color talents left something to be desired. 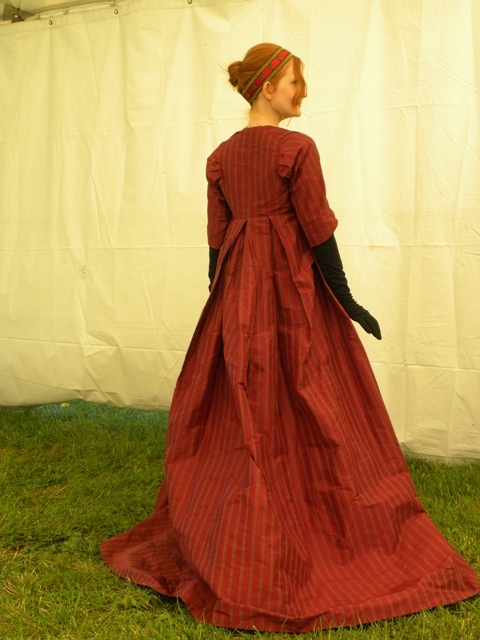 What fun it was, though – and I have just ordered some blank fans so that I can practice and eventually make one worthy of appearing at a ball. After all, we all know that no excellence in [drawing] is to be acquired, without constant practice. 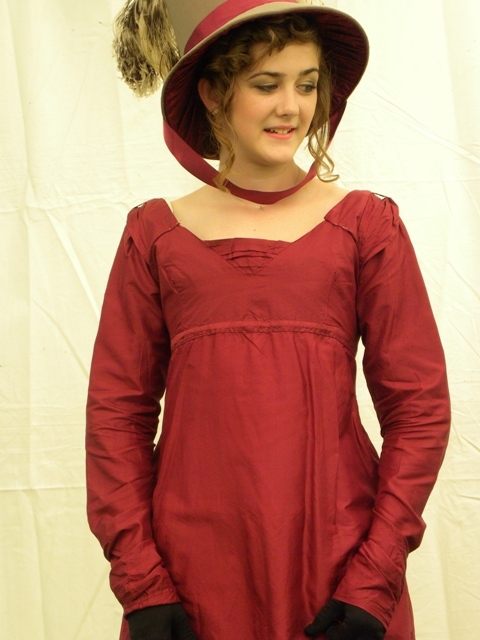 About the Author: Tess Quinn (a nom de plume) read Pride and Prejudice years ago at the age of thirteen, and has been hooked on Jane Austen – and Mr Darcy, unsurprisingly – ever since. She has read all the novels multiple times and doesn’t plan to stop any time soon. 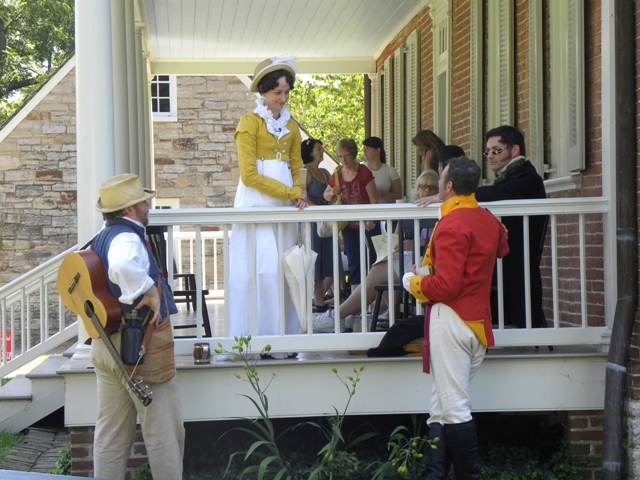 Some time ago she was introduced to Austen-based fan fiction and, unsatisfied with some of the depictions and approaches, took up her own pen to try to carry on beloved characters in a manner consistent with Miss Austen’s originals. 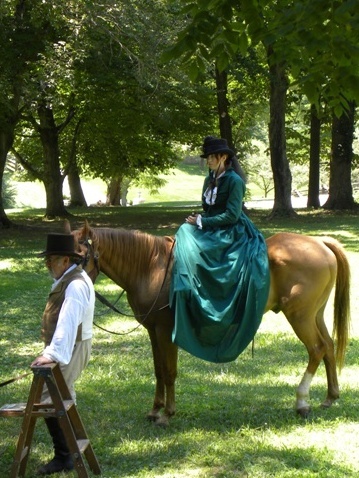 In 2011, her first short story was published in an anthology called A Road to Pemberley. With that encouraging milestone she is hoping shortly to publish another anthology, all her own stories, tentatively titled Pride Revisited. She has two completed P&P based novels (awaiting final edits and a willing publisher); and is nearing completion on her own darling child, a retelling of P&P from Georgiana Darcy’s perspective. Thank you Tess for sharing your weekend with us – I think of you and Melody passing each other various times throughout the weekend, and now connected in cyberspace! – we must all meet up next year for that cup of tea! I wish you the best with your Pride and Prejudice writings, and look forward one day soon I hope to interviewing you about your first published novel here! 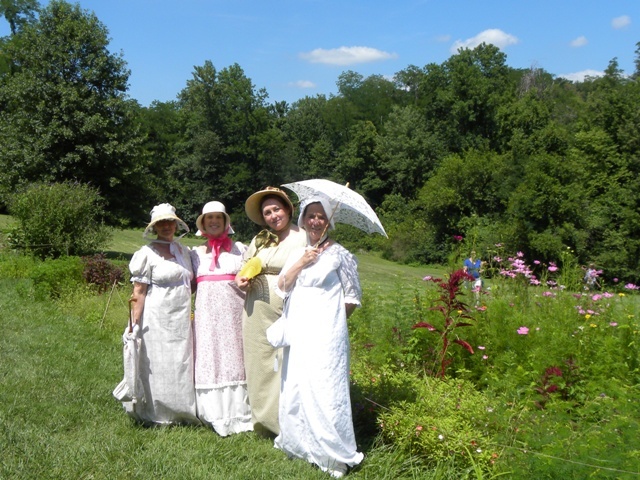 This entry was posted in Domestic Arts, Fashion & Costume, Jane Austen, Jane Austen Popular Culture, Jane Austen Societies, JASNA, Regency England, Social Life & Customs and tagged Jane Austen Festival Louisville Kentucky, JASNA-Louisville, Locust Grove, Tess Quinn. Bookmark the permalink. 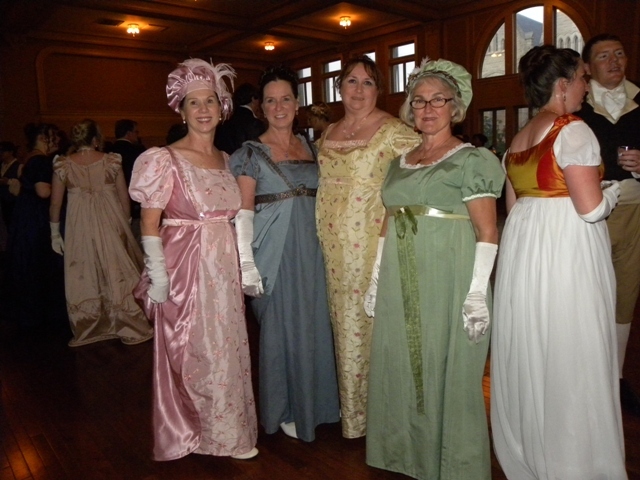 ← The Jane Austen Festival in Louisville ~ A First-Time Attendee Shares Her Tale! Tess is such a gifted writer! I’m so pleased to see her work getting the recognition it deserves. And she’s a lovely lady as well. Tea is a date! In fact, I’m thinking I will recommend to Bonnie Wise that for future years, they have a hospitality table somewhere, where folks who have “met” online might leave their calling card (in the form of a name on a list) to facilitate people meeting in person who have travelled from great distances or who frequent such wonderful sites as Deb’s. It gives me the reminiscence of old days. Beautiful outfits and cool ambiance.